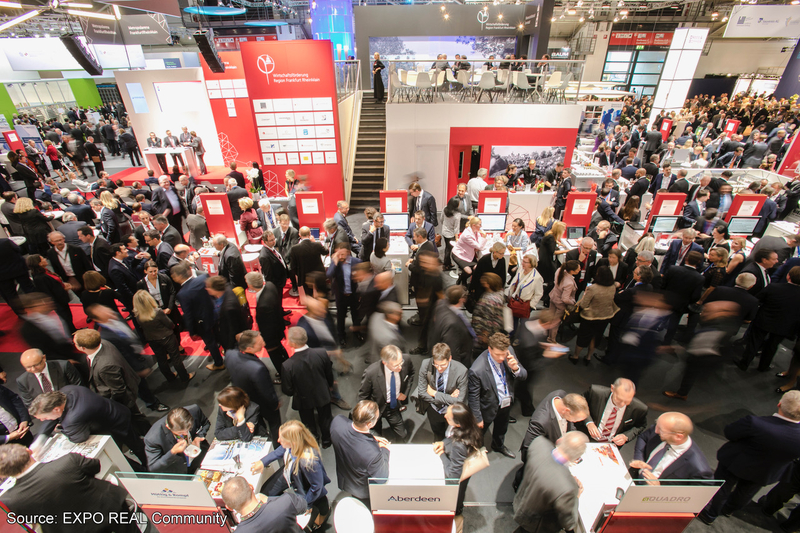 The second EIC Meeting took place at Europe’s largest property fair EXPO Real in Munich (Germany) on 10th October 2018. 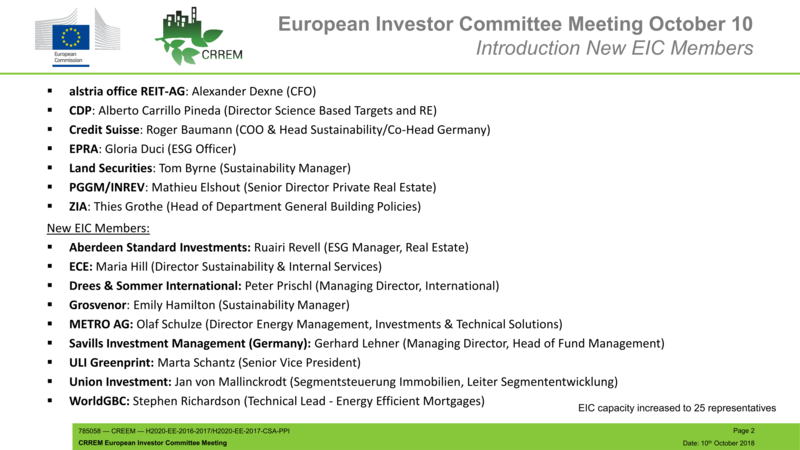 The CRREM team was glad to introduce several new EIC members and announce the launch of the official project website. 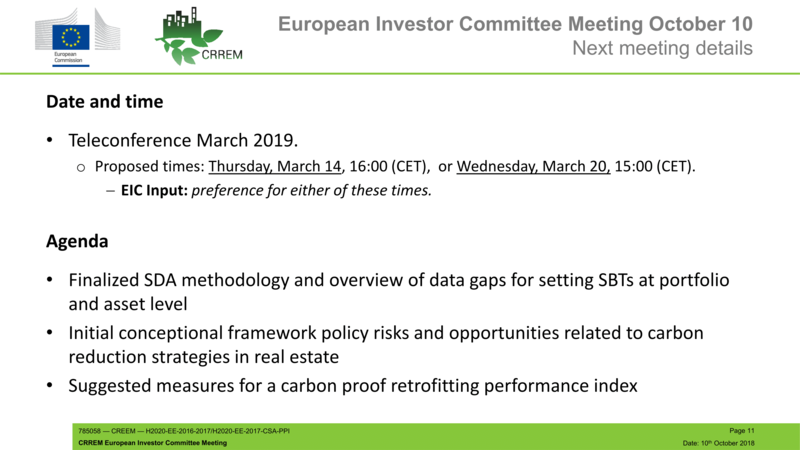 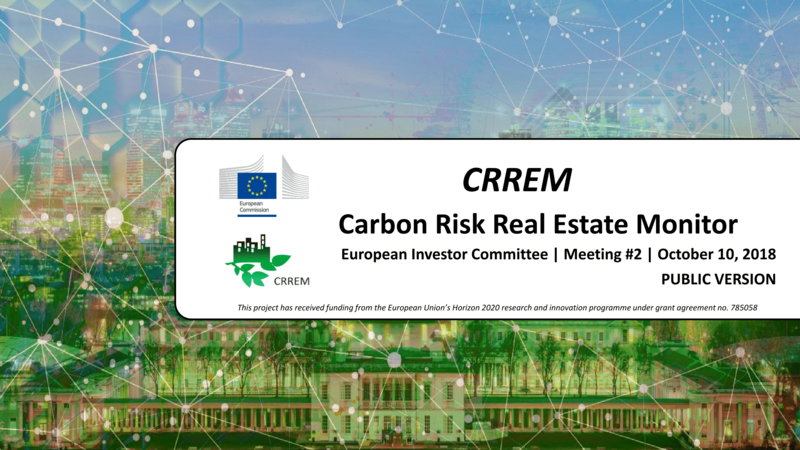 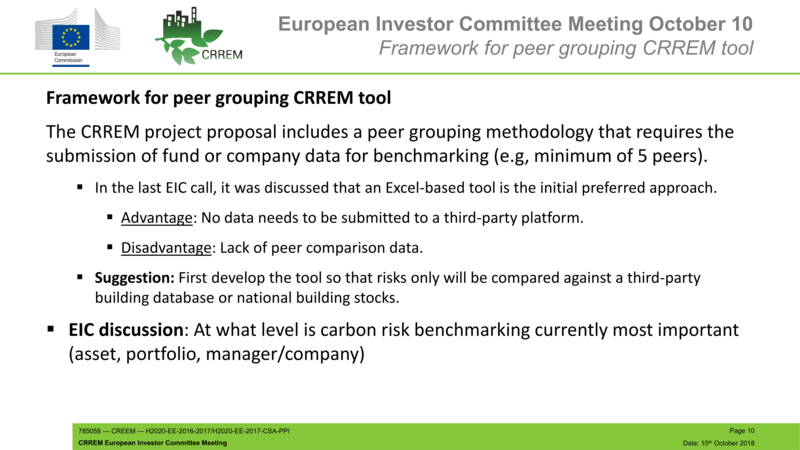 The CRREM project aims at providing the property industry with a comprehensive toolkit to assess so-called ‘stranding risks’ associated with high energy consumption and carbon emissions due to stricter regulatory requirements and market expectations. 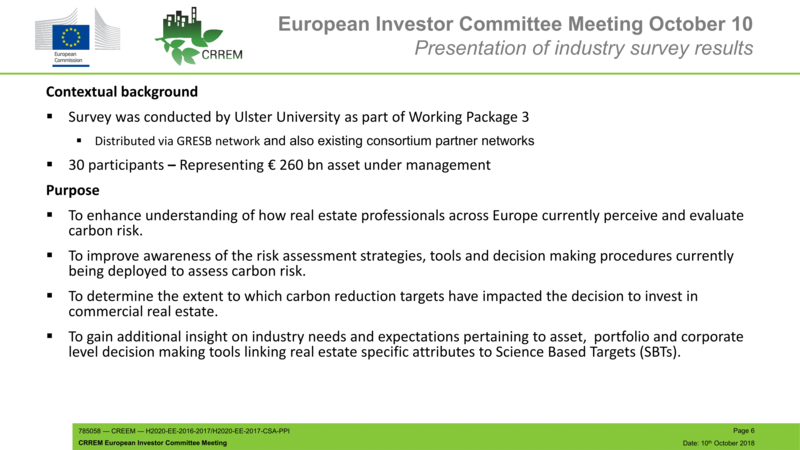 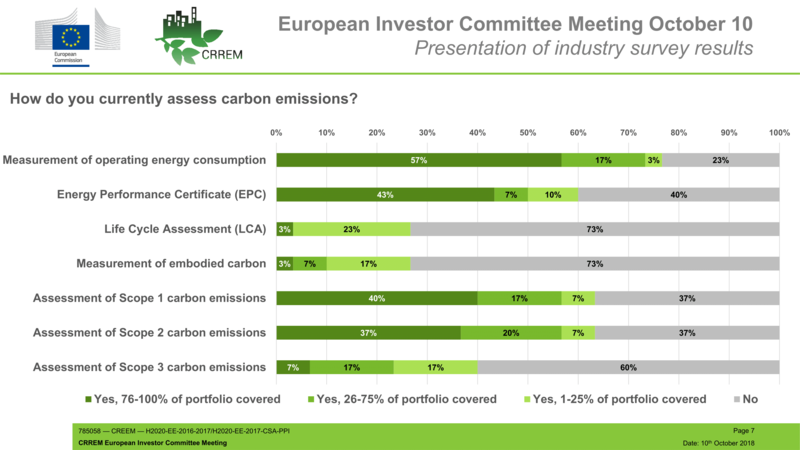 Under the lead of CRREM project partner Ulster University, an industry survey was conducted in order to identify to what degree carbon assessments is currently integrated into daily business and management decisions. 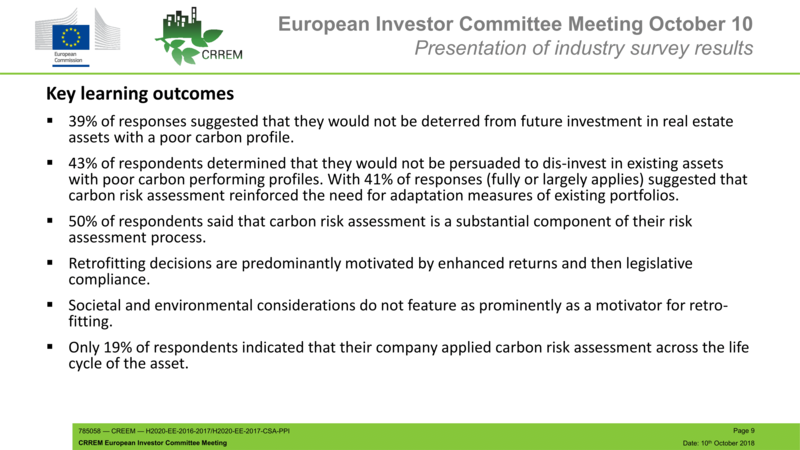 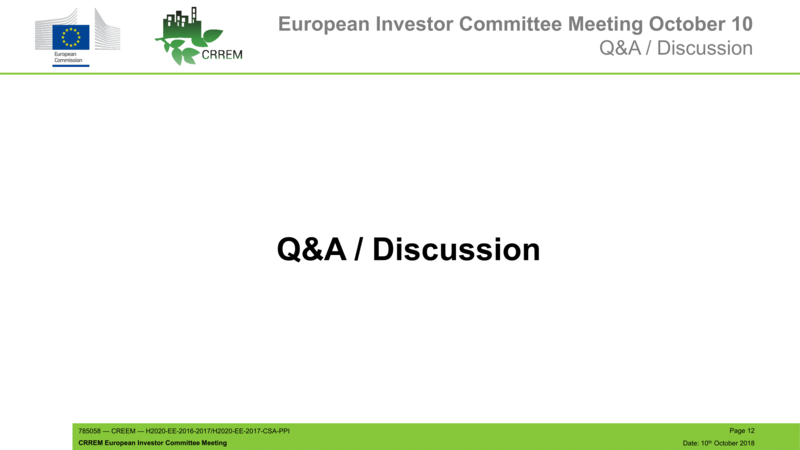 The survey covered companies with about €260bn assets under management and the CRREM team presented a summary of initial outcomes to the EIC members. 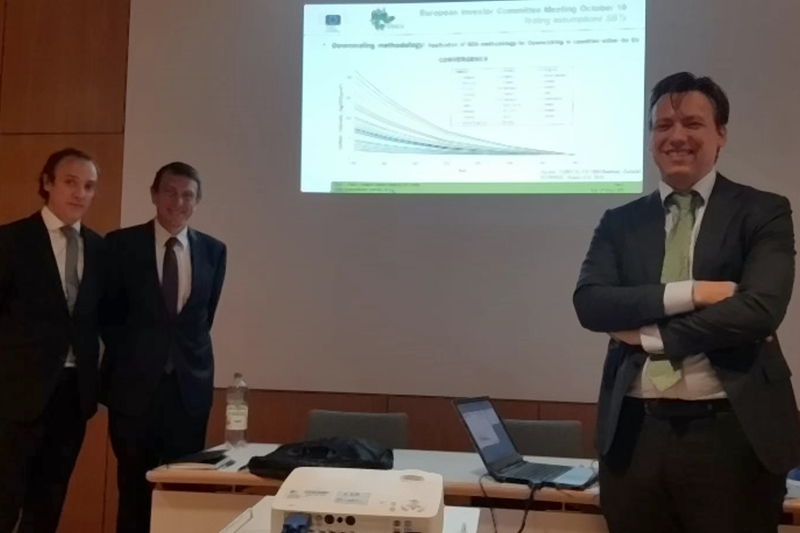 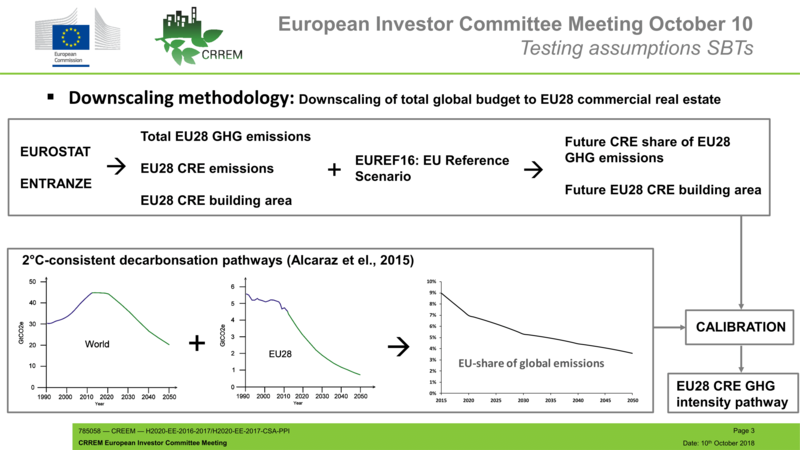 Project members from GRESB and IIÖ presented recent progress regarding the downscaling of global Green House Gas emission budgets in accordance with the Science-Based Targets (SBT) methodology. 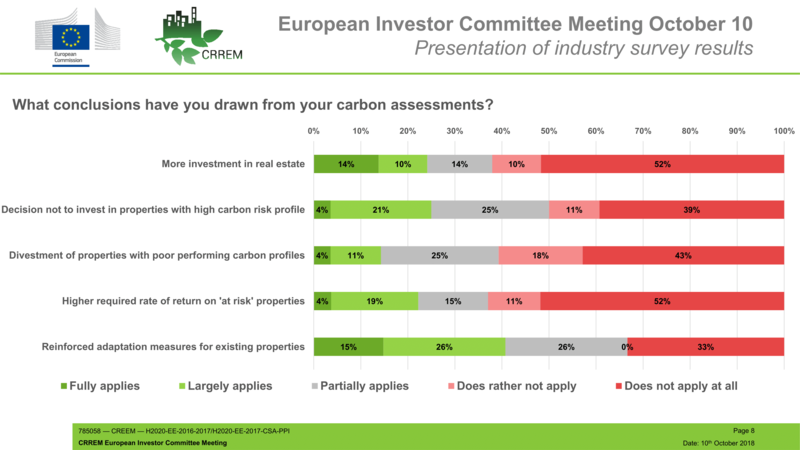 CRREM will provide the property industry with country-specific decarbonisation pathways that are in accordance with global warming staying below 2°C. 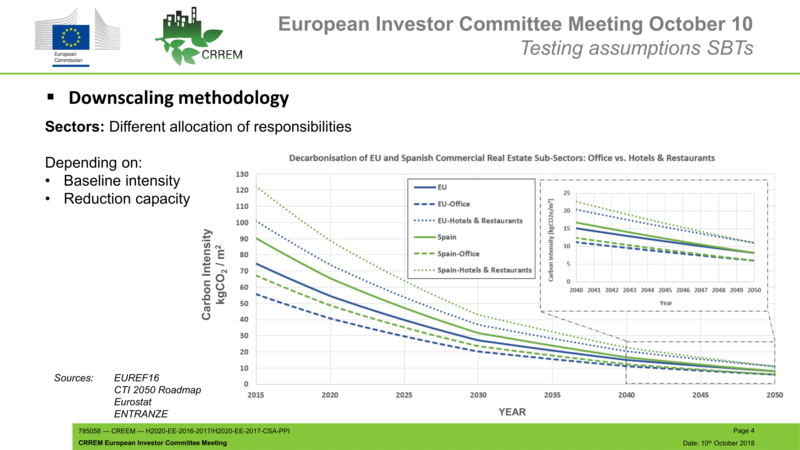 The pathways will be applicable to individual assets as well as the total property portfolio of companies and differentiate between various sub-sectors of commercial real estate like retail, office or education. 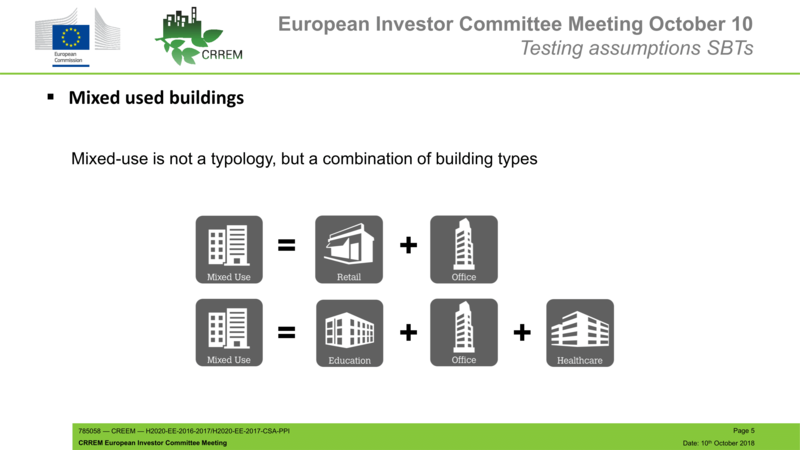 EIC members much appreciated this enhancement of existing approaches which will further enable a reliable integration of mixed-use buildings in the CRREM risk assessment methodology.